When you have a product that consumers love and want to engage with right in the store aisle, how can you give them an experience close to the real thing? Every kid loves Nerf. 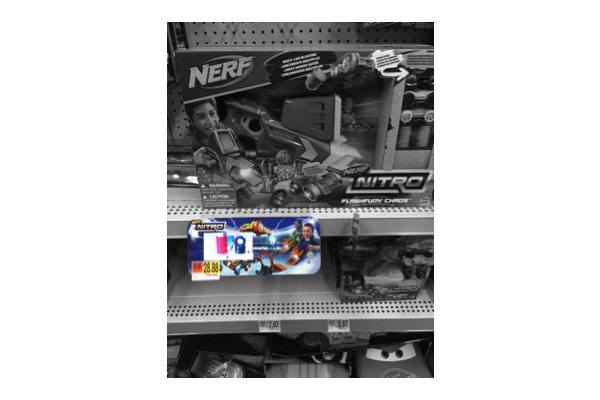 And every kid wants to play with the newest nerf toy right in the store aisle. 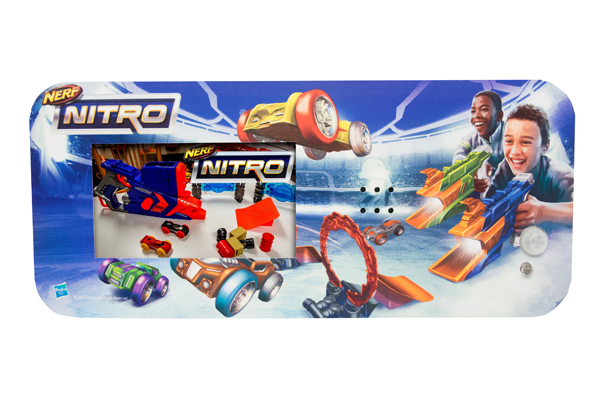 Americhip partnered with the Nerf brand to create a Video Blade that went into Walmarts around the country that gave kids the next best thing to playing with the new toy—a cool video showing all the tricks the Nitro racer can do. These Video Blades include a flashing LED to draw attention and a motion sensor that triggers the video each time a shopper approaches. And, to really extend its value, Nerf utilized our innovative Updateable Blade design which allows for easy refreshing right in store. These units include an easy to access SD Card slot for updating of the video content and a graphics panel that can be peeled off and replaced with a new image. 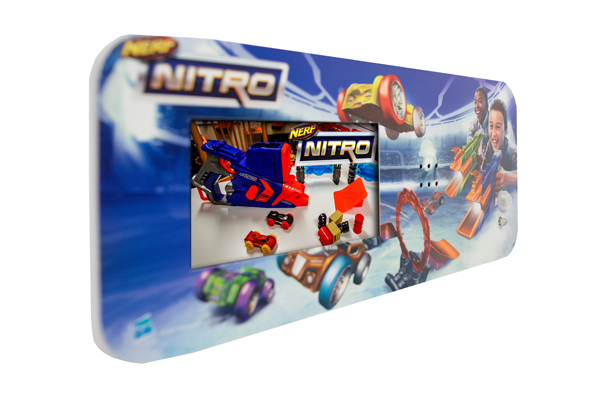 Extend the life of your instore campaigns with Americhip’s Updateable Video Blades.